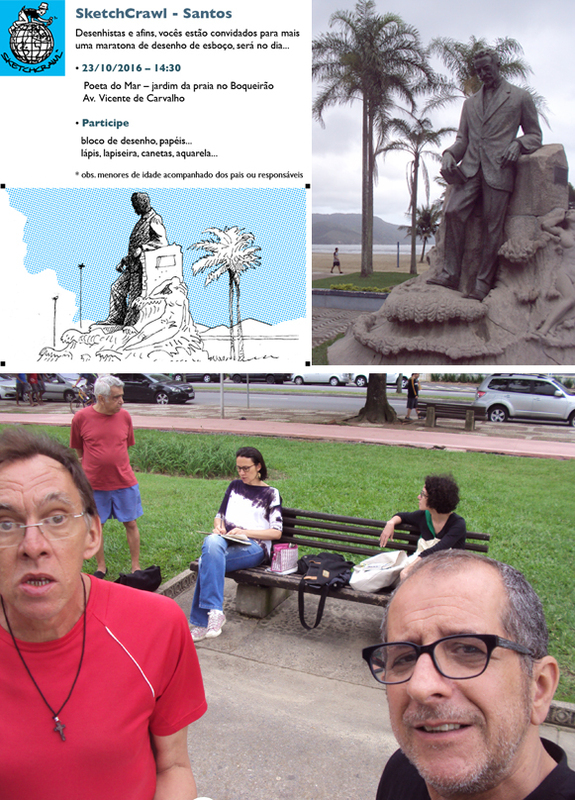 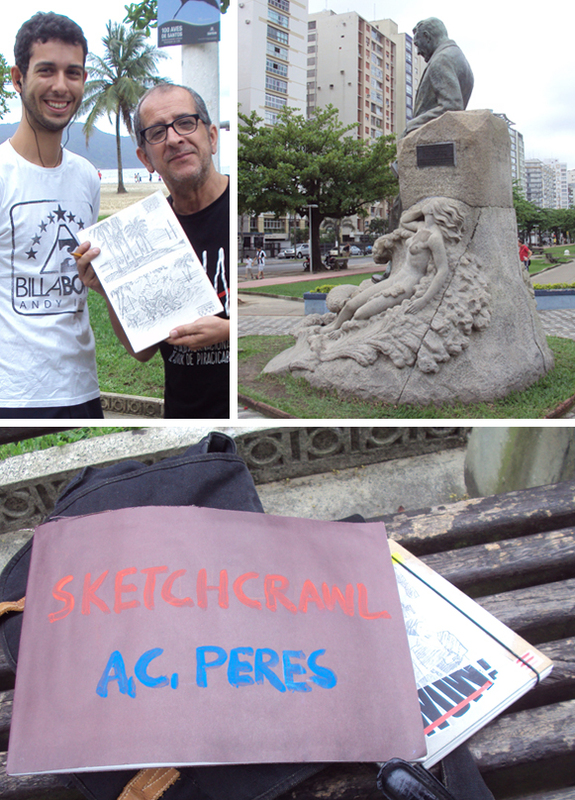 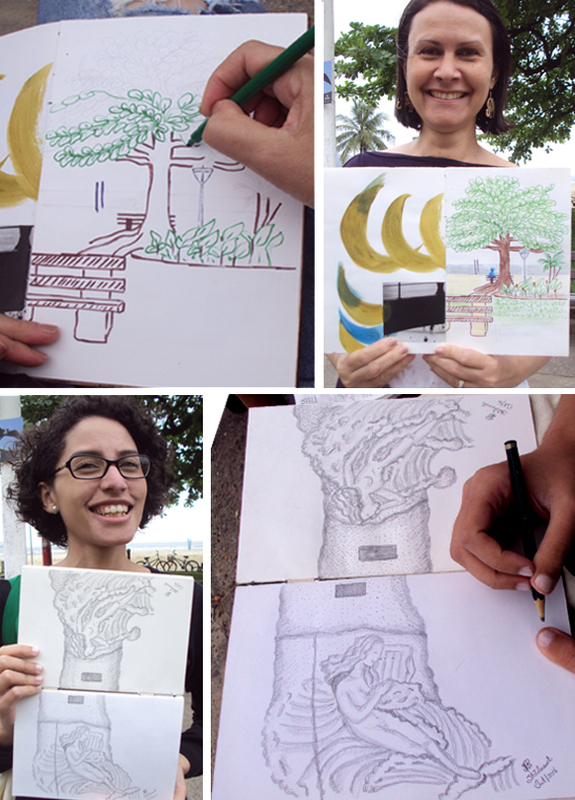 Neste Sketchcrawl, nós nos reunimos pela primeira vez ao redor da estátua de Martins Fontes, o poeta do mar. 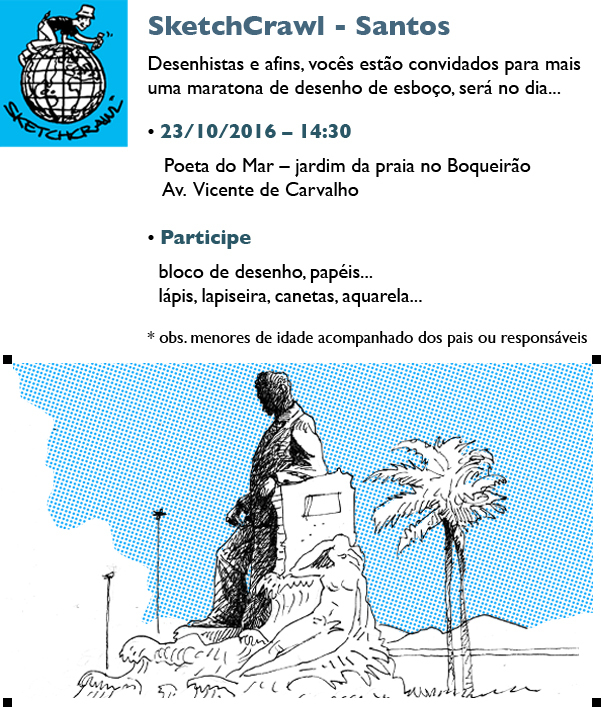 Abaixo, nossas fotos e desenhos. 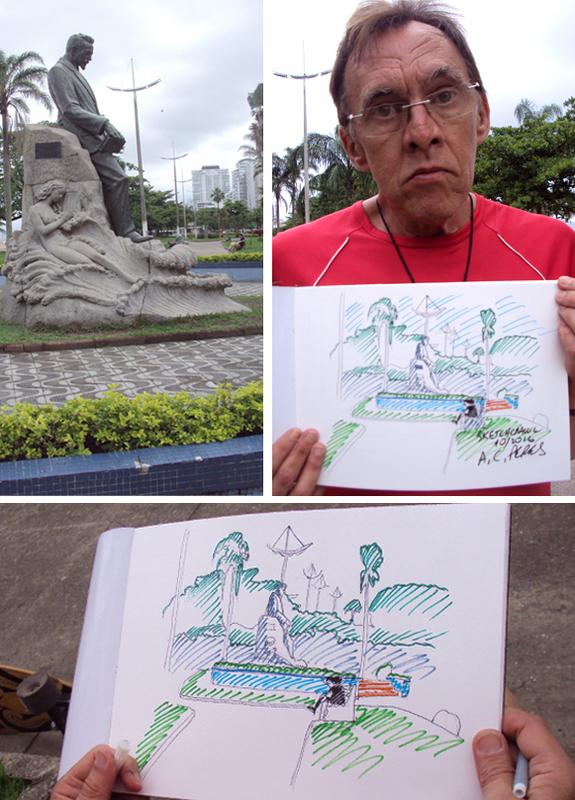 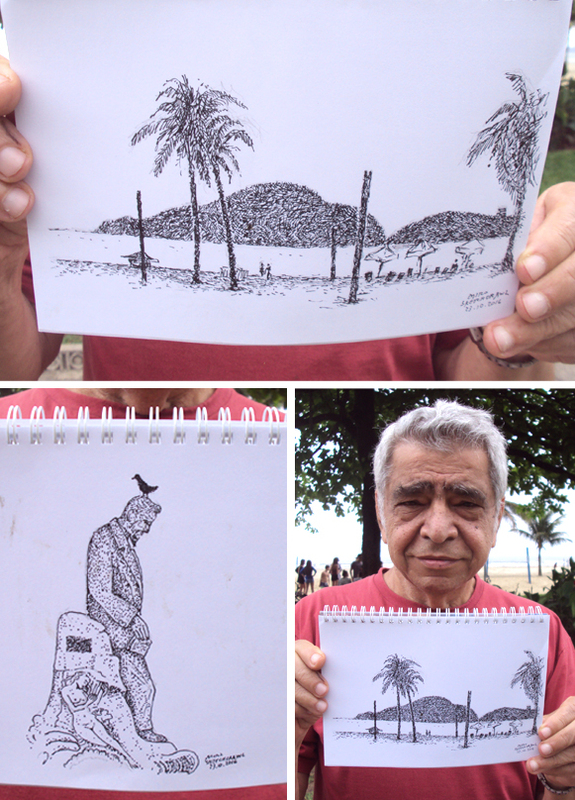 In this Sketchcrawl we met the first time around the Martins Fontes statue, the poet of the sea. 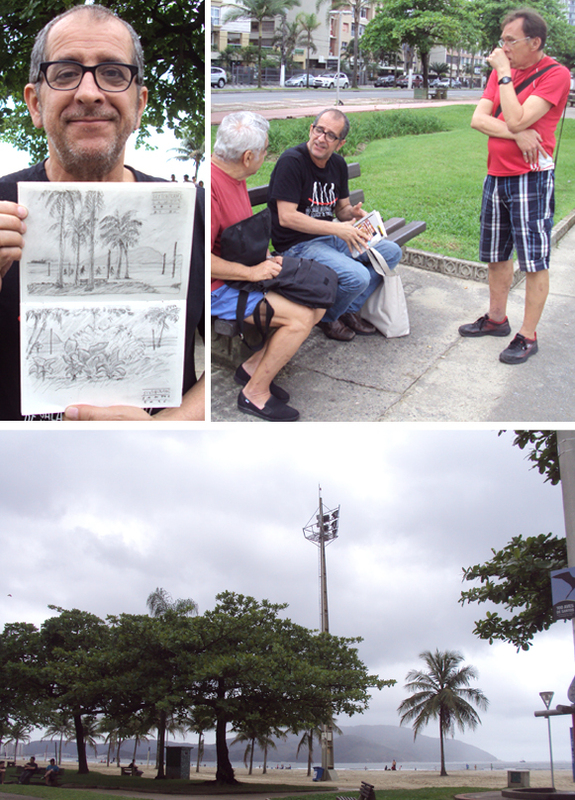 In all, we were in 5 participants, and despite the cloudy afternoon and a bit of rain we draw the sculpture, the gardens of the beach, besides talk enough…. 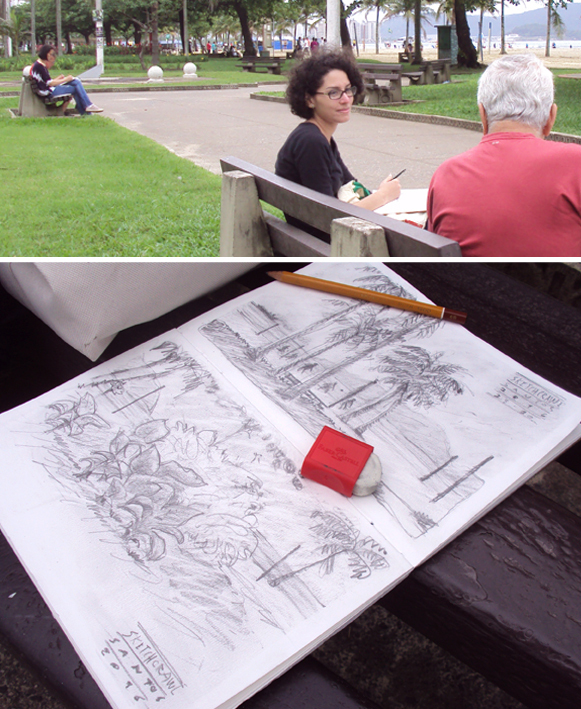 Below, our photos and drawings.